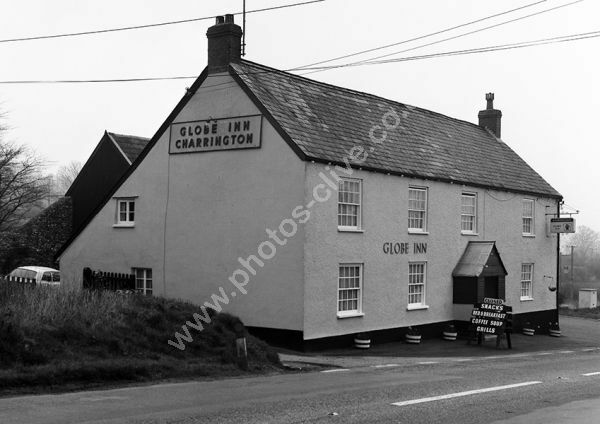 The Globe Inn around 1974 at Marsh, Honiton, Devon before name change to the Flintlock Inn. See also the 1975 version froma different angle. For commercial use of this photograph please visit www.alamy.com and search for AEYRC3 but for a one off print, please see below.